SHREE GIRIRAJ METALS PRIVATE LIMITED. is experiencing growth at a very brisk pace since its establishment in the year 1981 (15th September), under the proficient headship of the honorable Chairperson Mr. Umesh Agrawal. We are the prime Manufacturer and Supplier of Cadmium Free Brazing Alloy, which are made from Brazing Alloy, which is completely cadmium free. 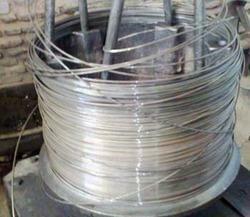 The Brazing Alloy is used for brazing silver product that is made up silver alloys. 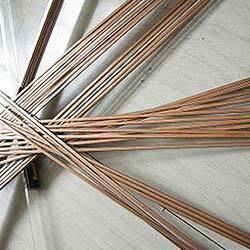 Copper Phosphorus Brazing Alloys are mainly used for the copper and copper alloy filler rods. 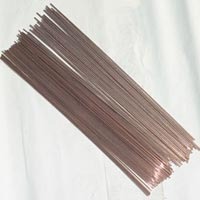 These Manganese Bronze (high tensile brass) rods are intended for use in the bronze welding (brass welding) of copper, cast iron, and malleable iron and for the fusion welding of materials of the same or closely similar composition. These high nickel bronze (high tensile nickel brass) rods are intended for use in bronze welding (brass welding), cast iron or malleable iron. The company is known as a highly trusted Manufacturer & Supplier of Aluminum Brazing Alloys. The Pure Aluminum Brazing Alloys, offered by the company, are manufactured to perfection using the best grade materials and technologies. The Aluminum Brazing Alloys can be availed in a wide range and the industrial demands are met with timely deliveries. Cadmium Bearing Alloys, offered by us, are free flowing with narrow melting ranges. Cadmium Bearing Alloys are known for their resistance to corrosion in chlorine, sulfur, and steam environment etc. Brazing alloy is also used for Tungsten Carbide Tipped Tools. Its low zinc content makes it suitable for furnace brazing. Brazing alloy has good resistance in marine environment and caustic media. When used on stainless steel, it will inhibit interface corrosion. Because its nickel content improves wet ability on tungsten carbide tools tips, the largest use is to braze carbide tool assemblies. It is used extensively for carbide tip brazing, but flows less freely. This filler metal does not contain cadmium. Copper Brazing Alloys are known for their various unique features. We manufacture these Copper Brazing Alloys as per the prescribed standards of quality of markets. We have gained prestige on the base of the quality and popularity of these Copper Brazing Alloys. The accurate composition, melting range, of copper phosphorus brazing alloy is the trusted factor of the keep growing demand of these Copper Brazing Alloys. 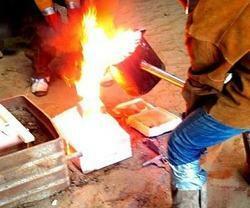 Brazing alloy is particularly adaptable when close fit cannot be held. This filler metal may be used where narrow joint clearance cannot be held. It has the ability to fill wide joint clearances at the lower end of its brazing range. At the high end of the brazing range, it is more fluid. Based on the quality of these Copper Brazing Alloys, we have positioned on the top in the market. Shree Giriraj Metals Pvt Ltd is a leading supplier of superior quality of Silver Brazing Flux. Silver Brazing Flux is a substance, which cleans the metals when they are joining while soldering, brazing, and welding. In high-temperature metal joining processes, the primary purpose of flux is to prevent oxidation of the base and filler materials. Secondarily, Silver Brazing Flux acts as a wetting agent in the soldering process, reducing the surface tension of the molten solder and causing it to better wet out the parts to be joined. Additionally, flux allows solder to flow easily on the work piece. Shree Giriraj Metals Private Limited is the one stop destination for the purchase of all Silver Brazing Alloys. To offer you best we have introduced a wide range of Silver Brazing Alloys, which are known for their ravishing features. The unique designs and unsurpassable properties are the sensational facts of keep increasing client’s demand. For all that, we have established as the most trusted manufacturer and supplier of Silver Brazing Alloys. Tin solders also called soft solders, which has long been used as a solder in the form of an alloy with lead. Tin forms a eutectic mixture with lead. 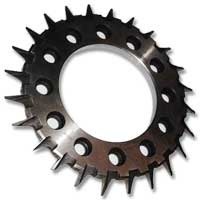 Such solders are primarily used for solders for joining pipes or electric circuits. Tin bonds readily to iron, and is used for coating lead or zinc and steel to prevent corrosion. For offering the optimum quality Tin Solder, we have listed among the leading manufacturers and exporters of Tin Solder. 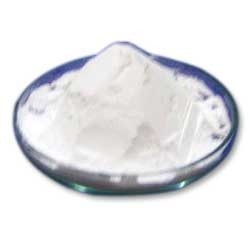 The company has emerged as a highly reliable Manufacturer & Supplier ofAluminium Brazing Flux Powder. The company is offering a wide range of Fine Aluminium Brazing Flux Powder and the several variants have their own specific uses and features. The Aluminium Brazing Flux Powder is delivered in the highly durable packaging and is competitively priced as well.